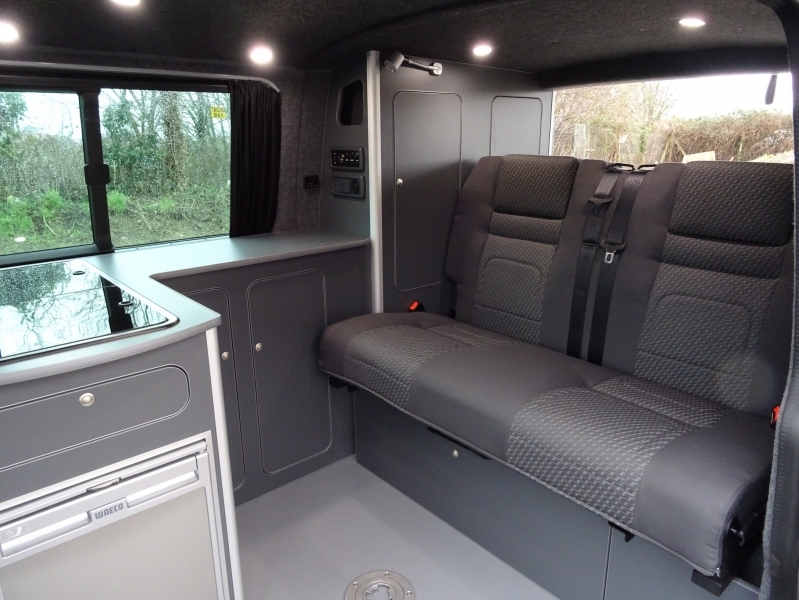 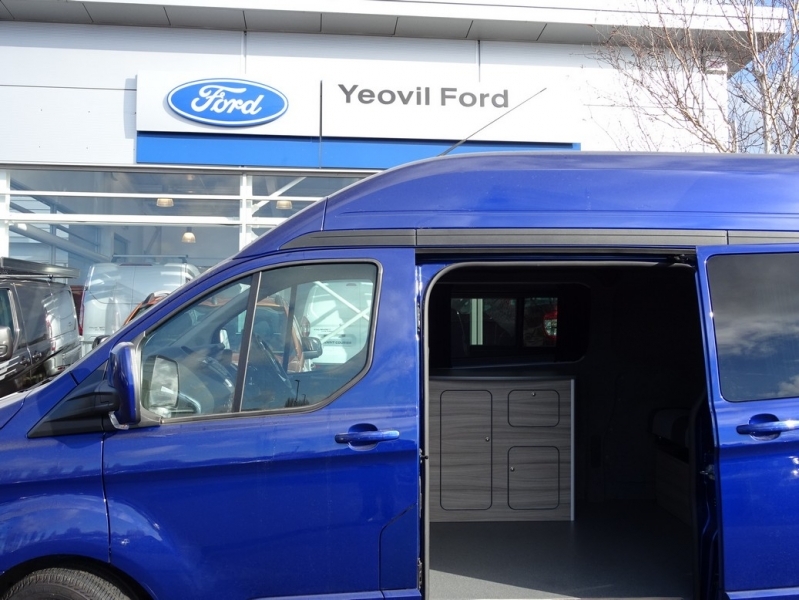 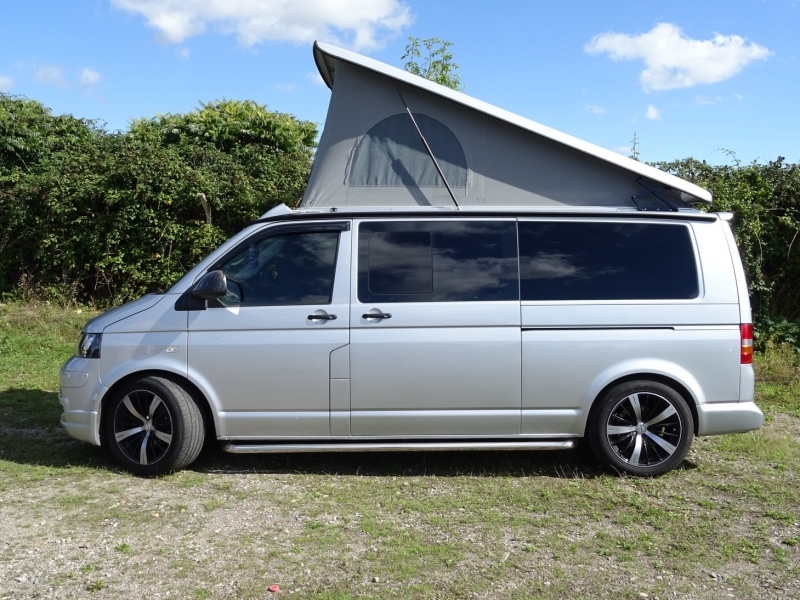 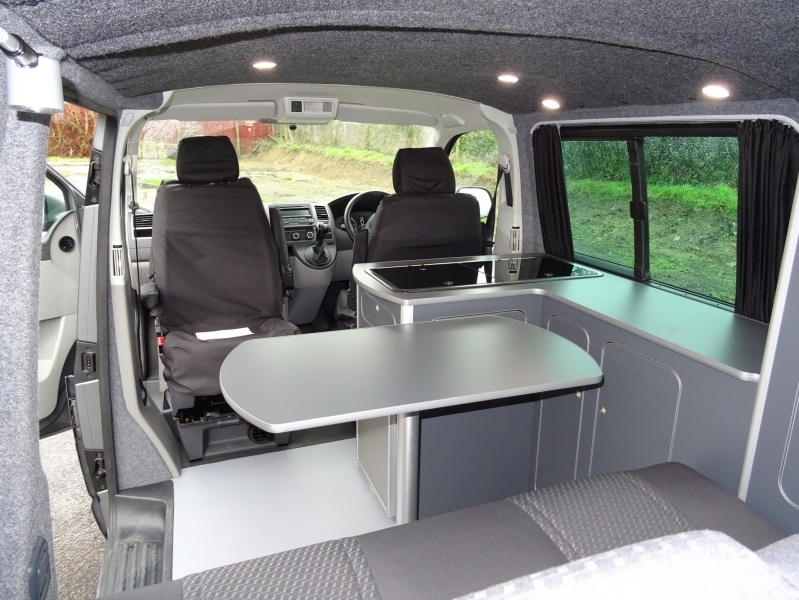 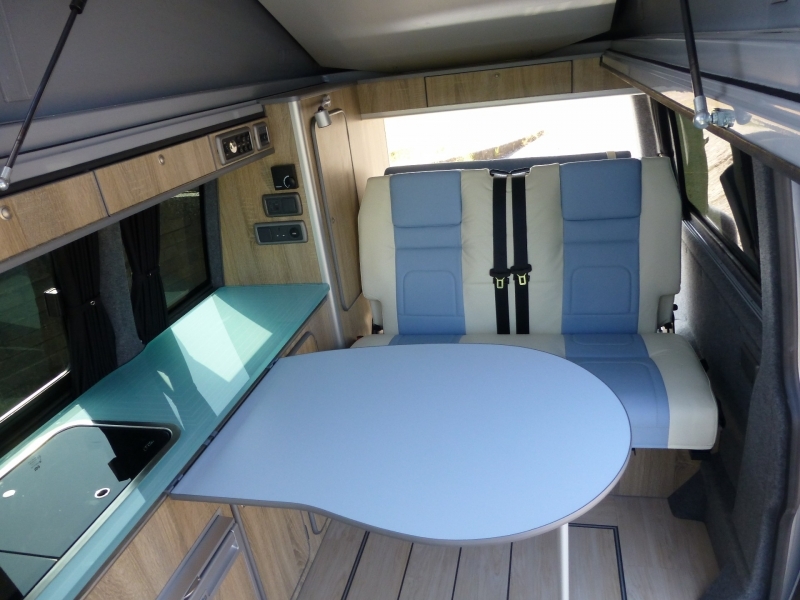 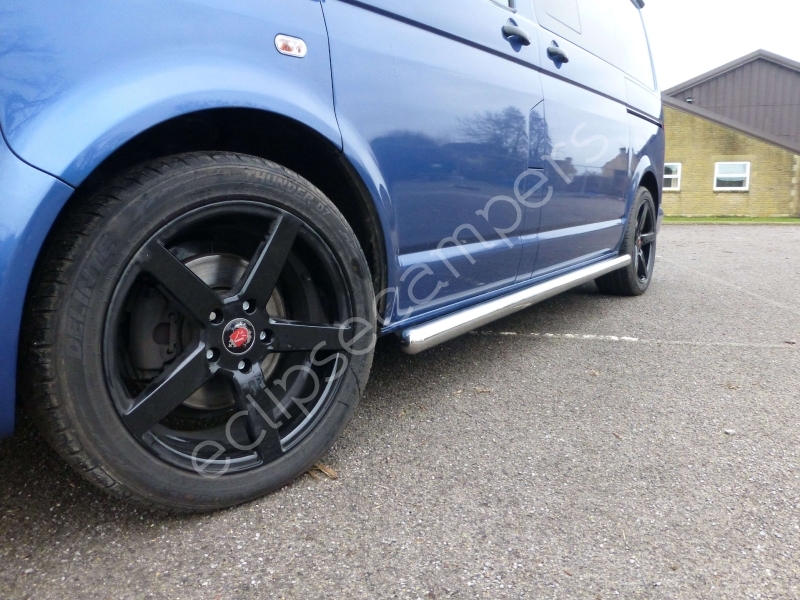 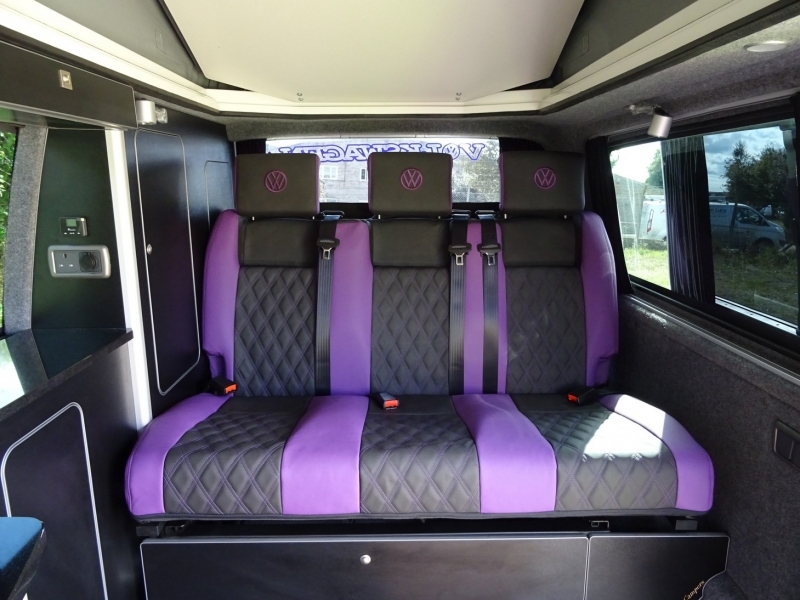 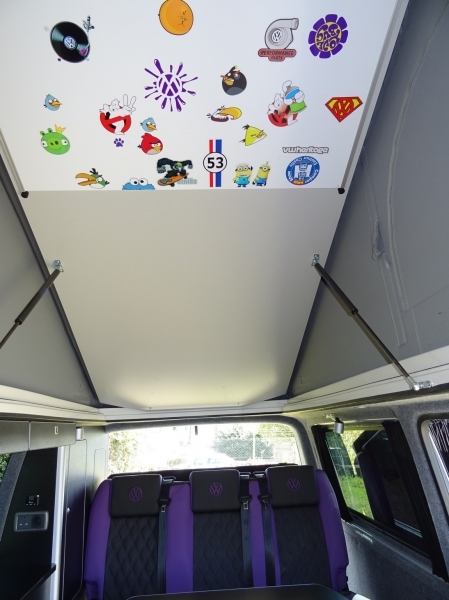 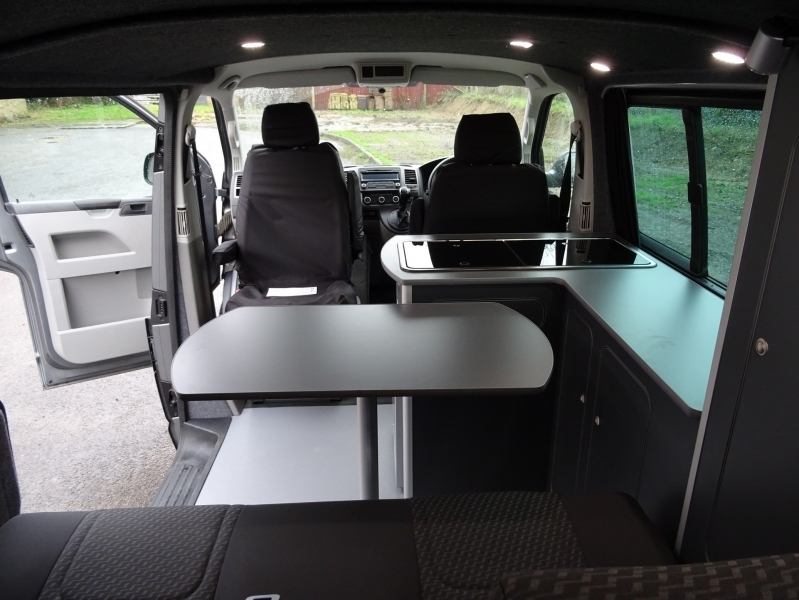 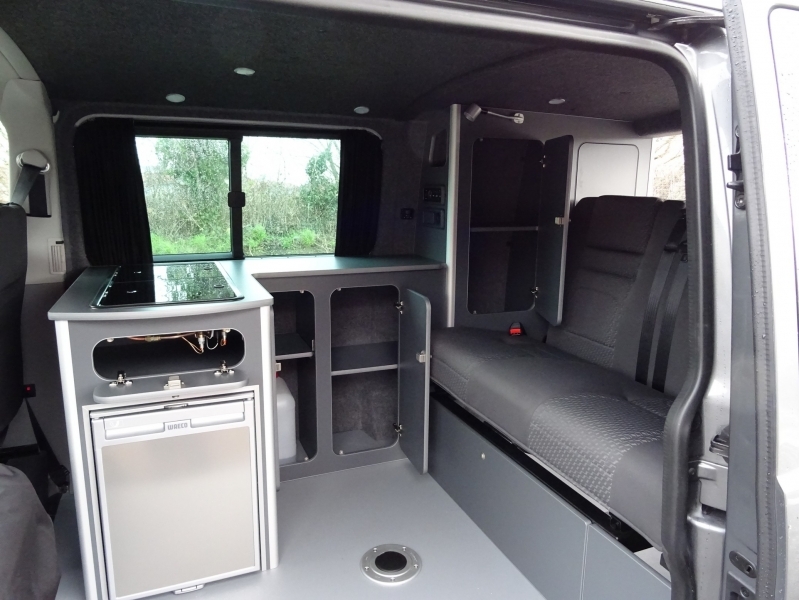 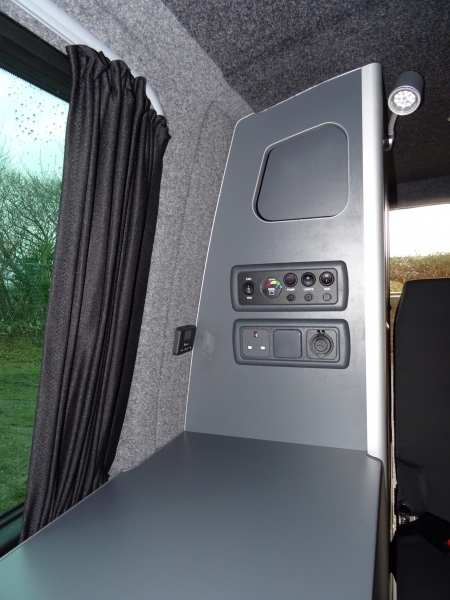 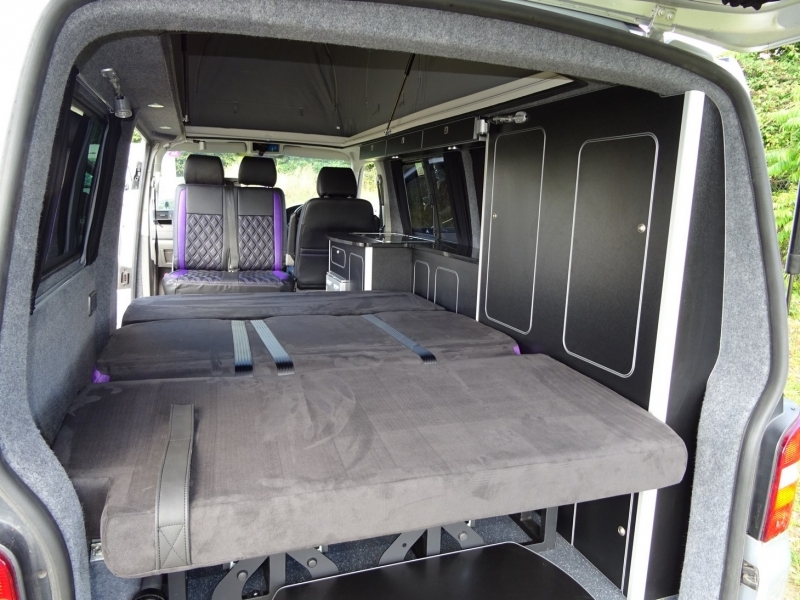 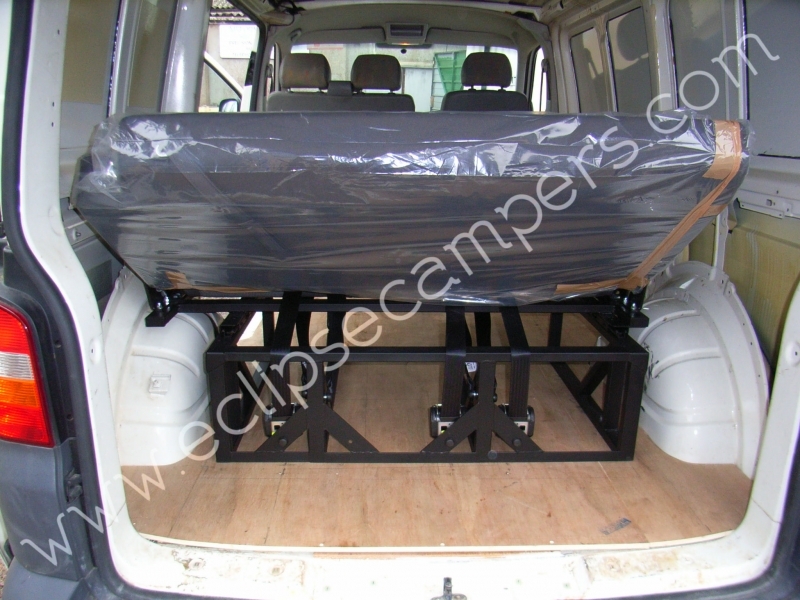 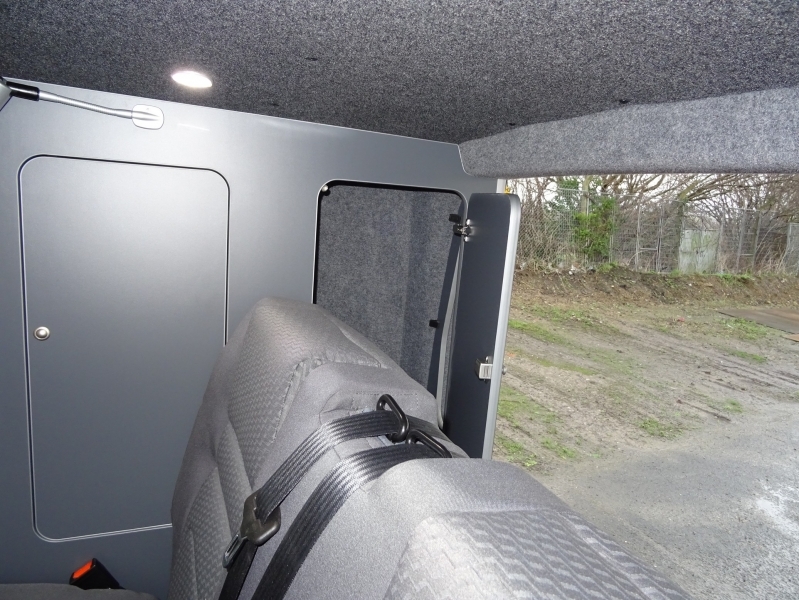 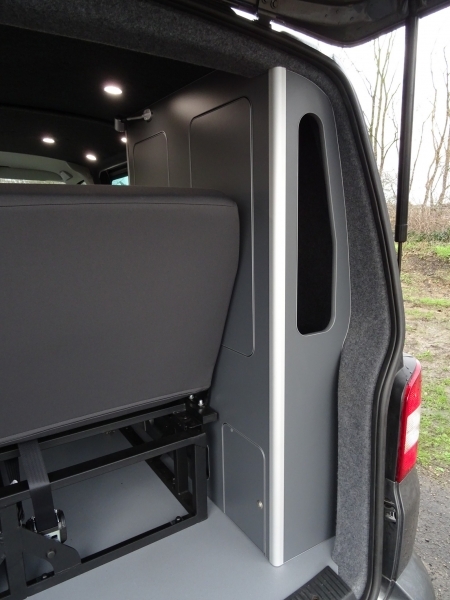 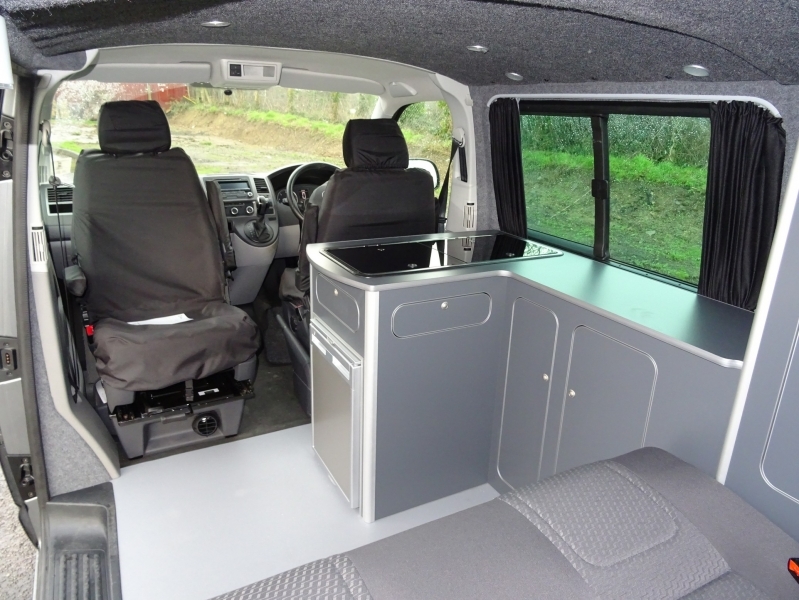 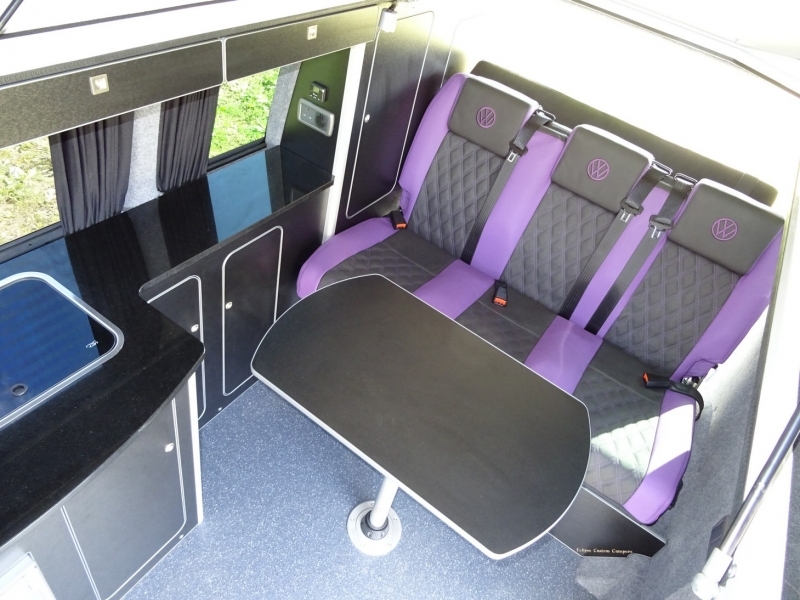 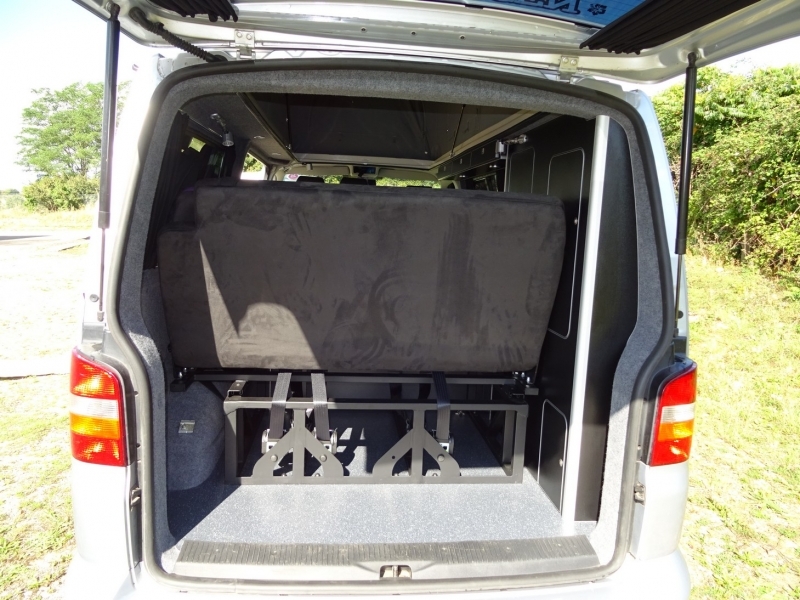 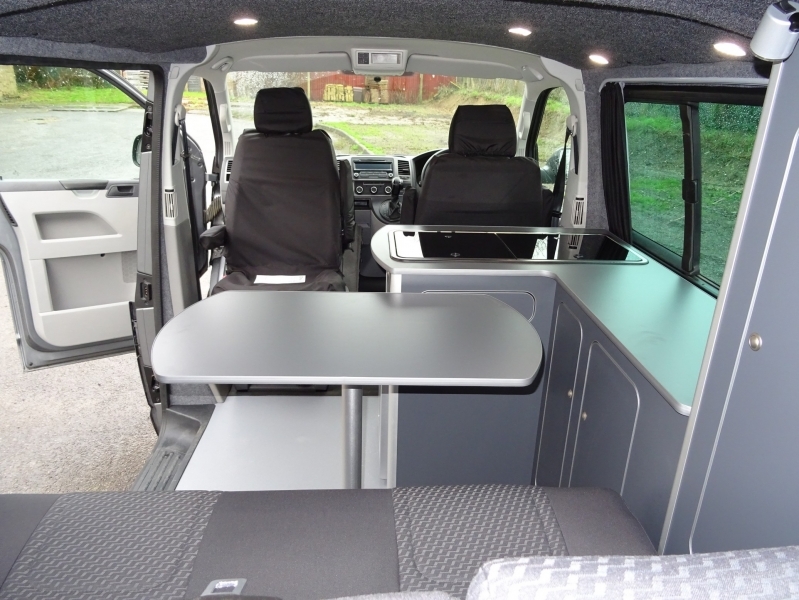 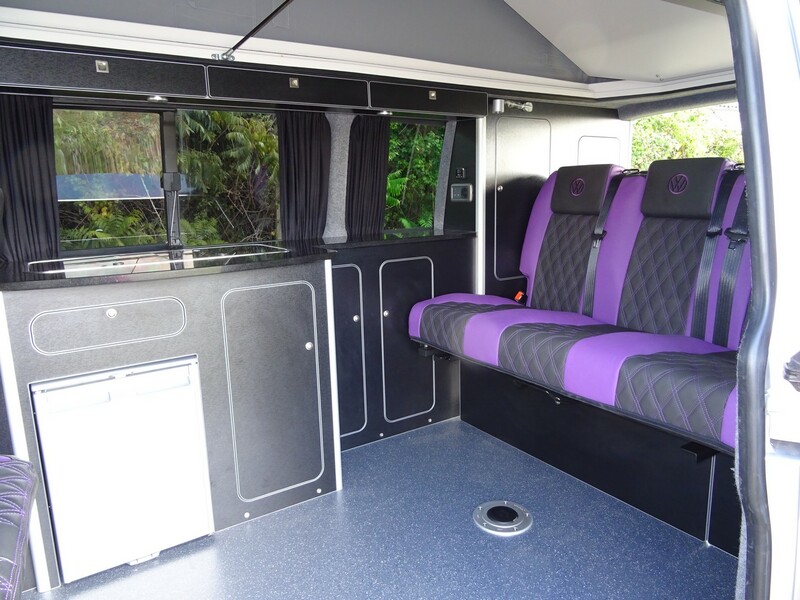 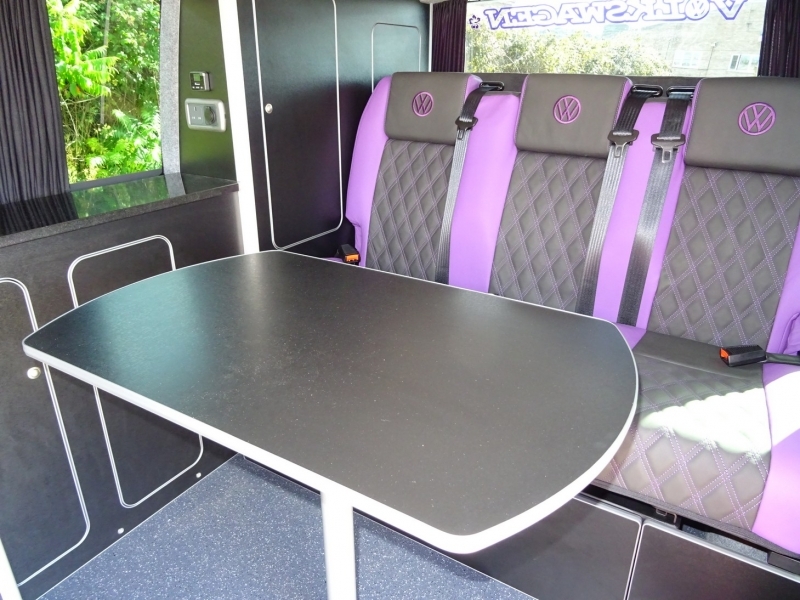 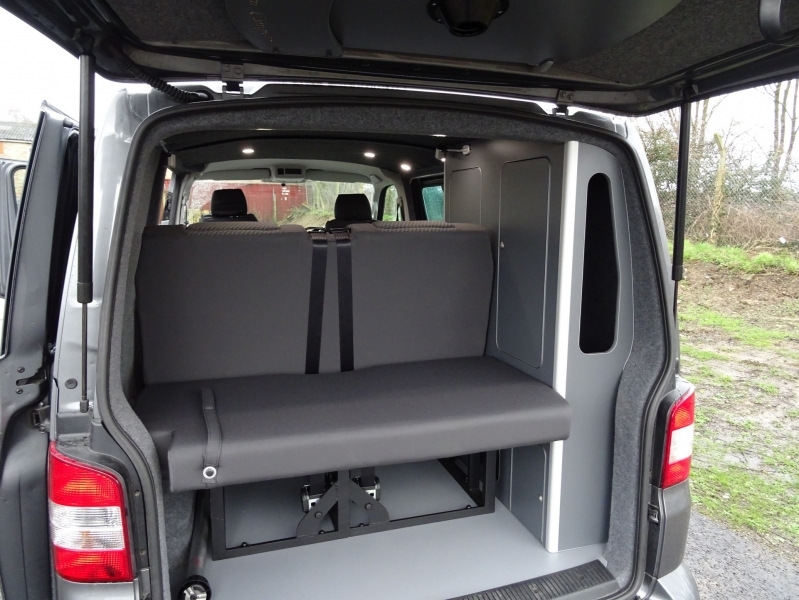 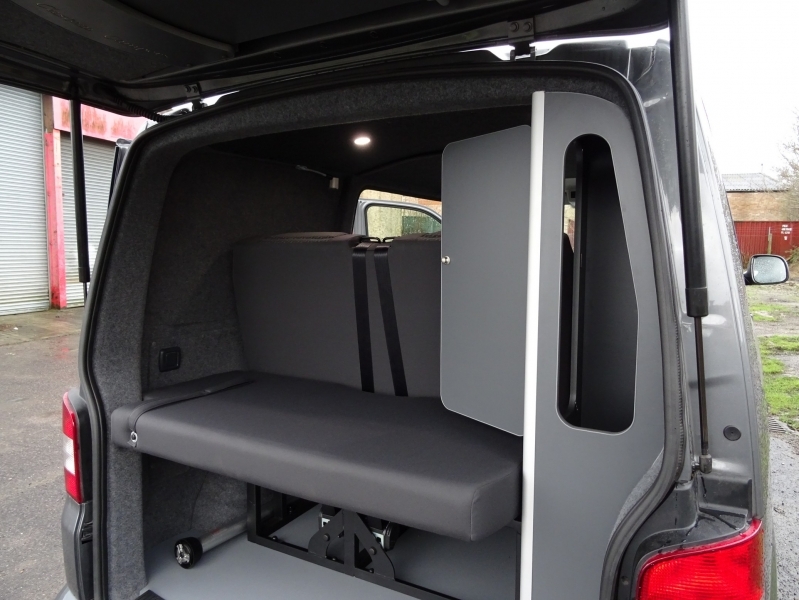 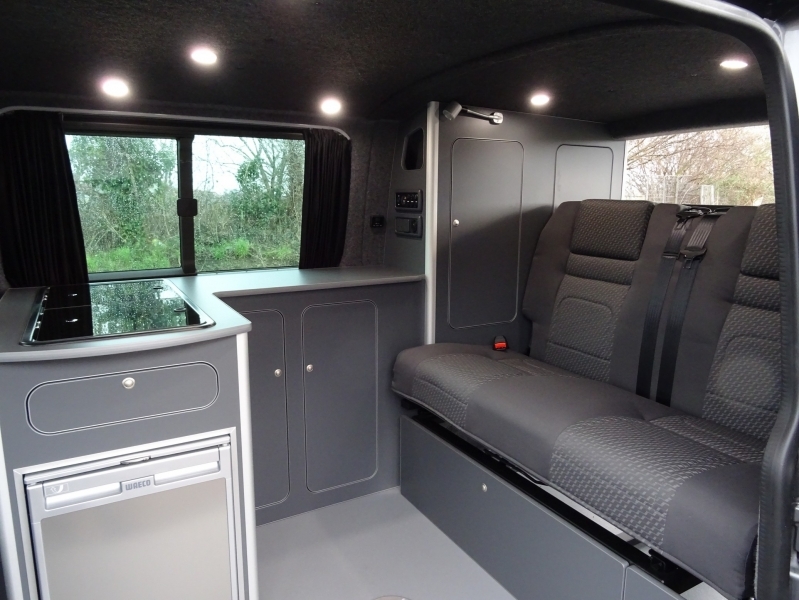 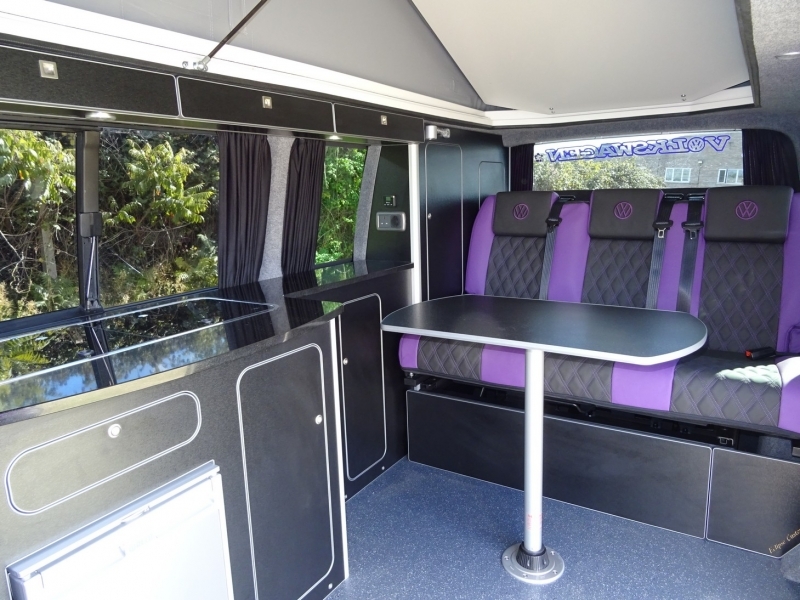 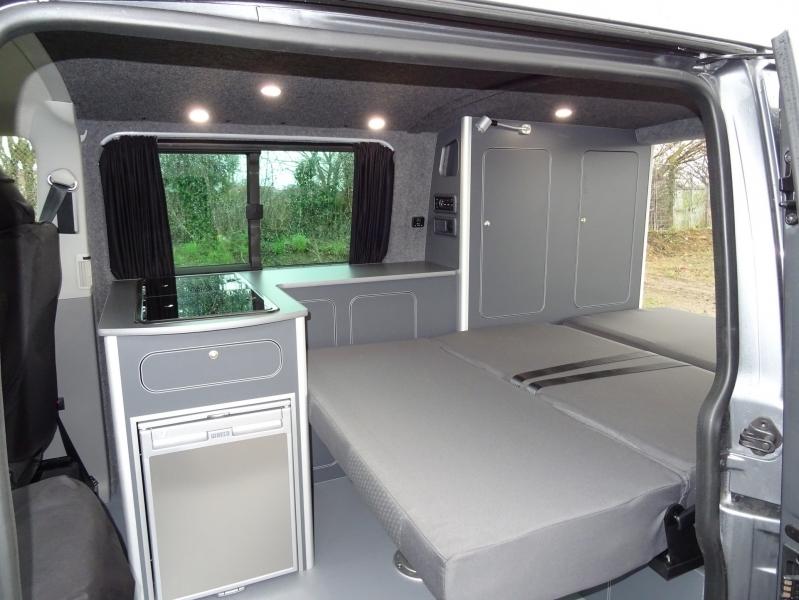 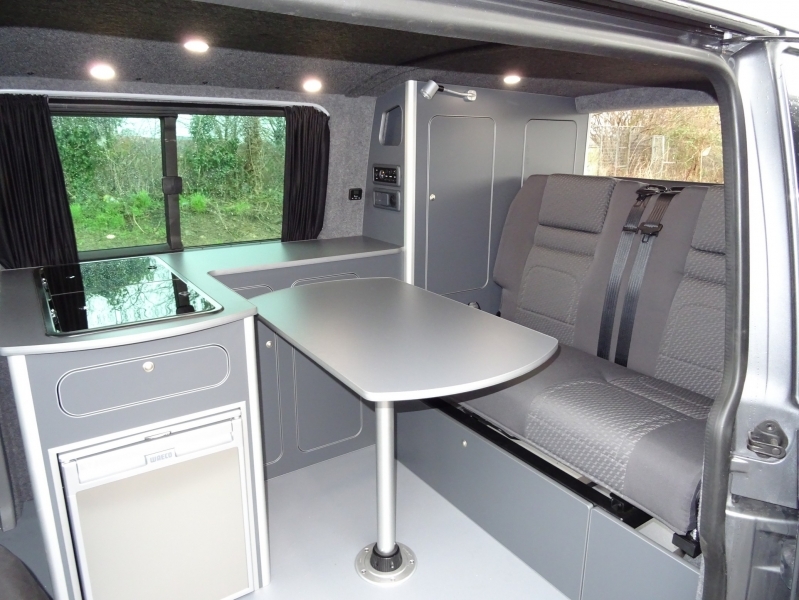 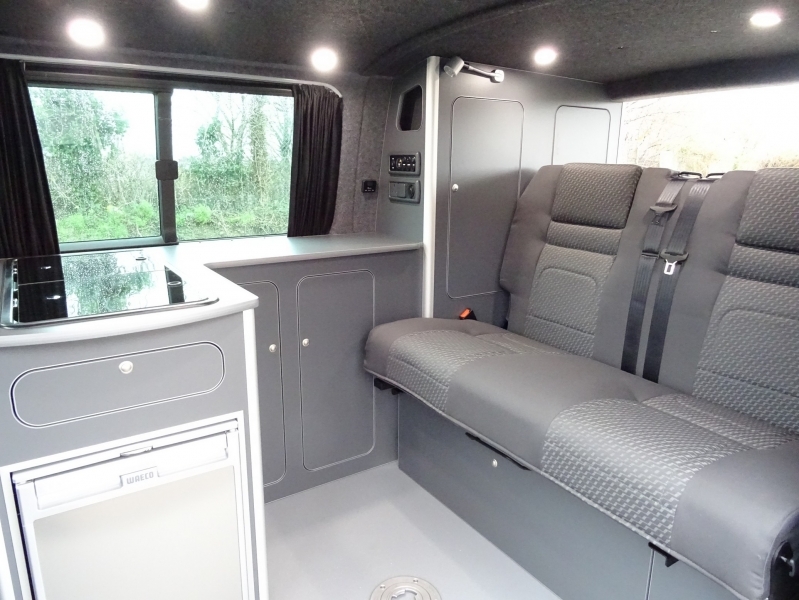 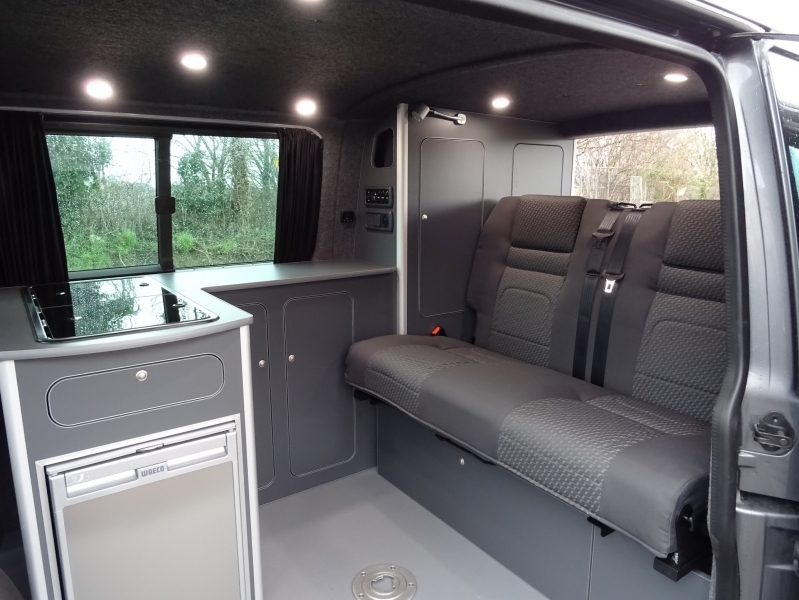 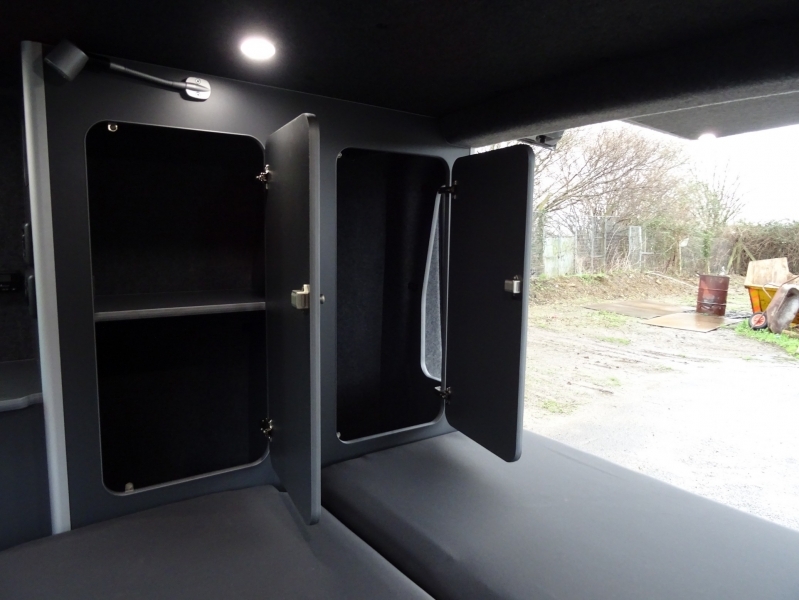 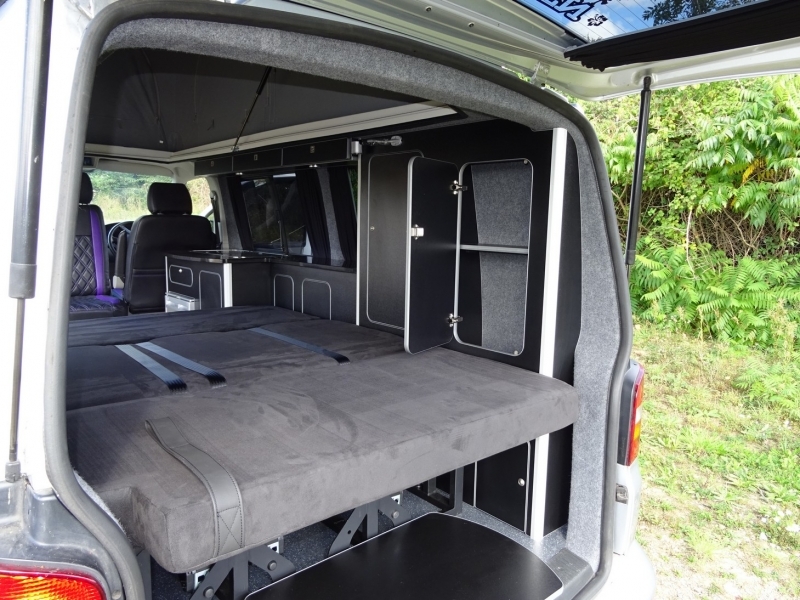 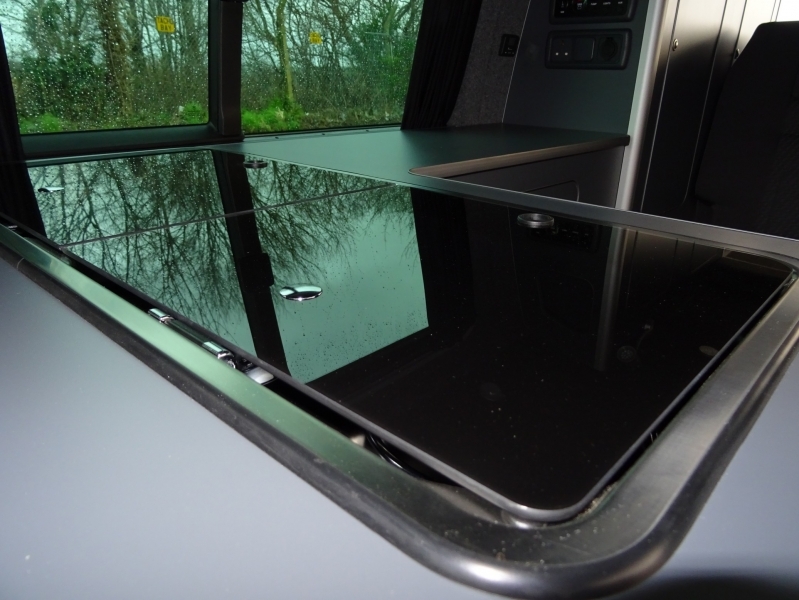 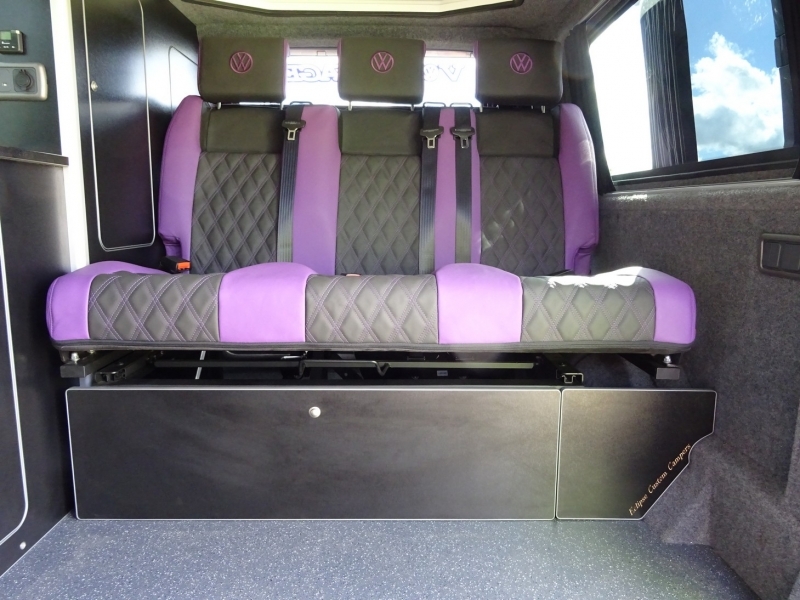 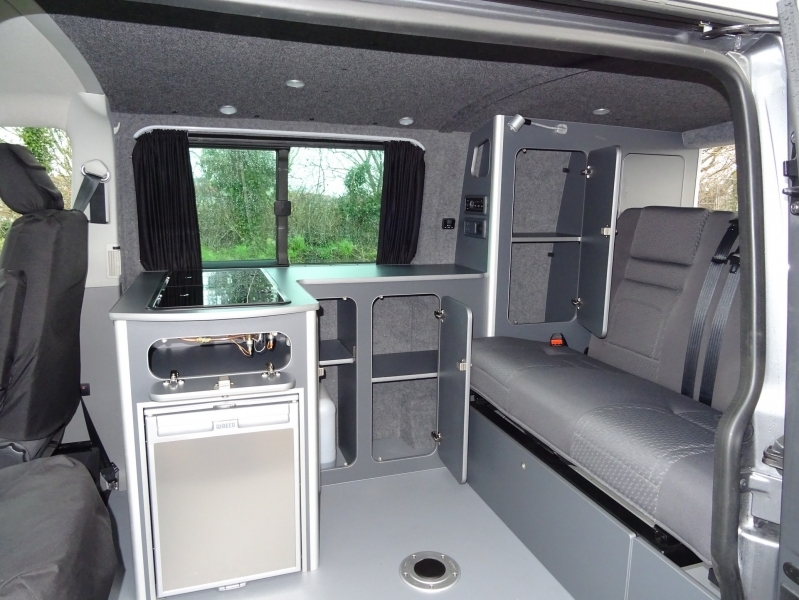 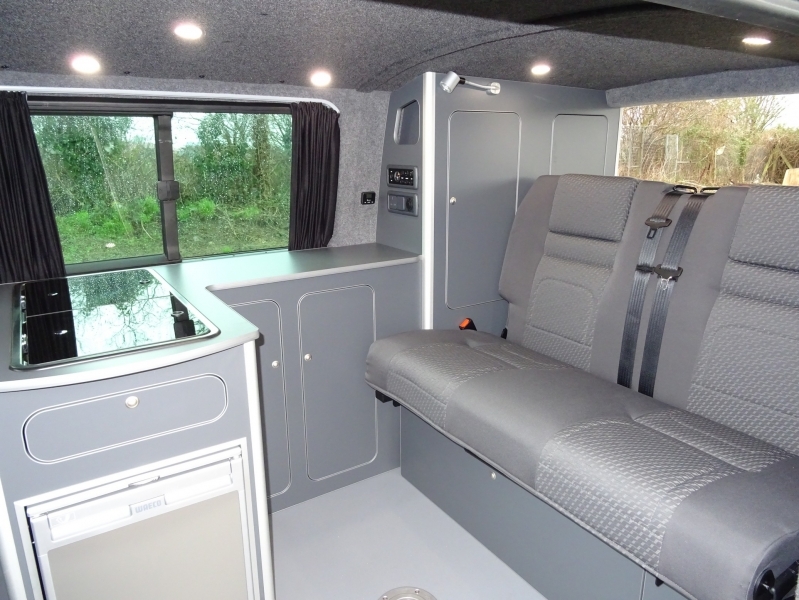 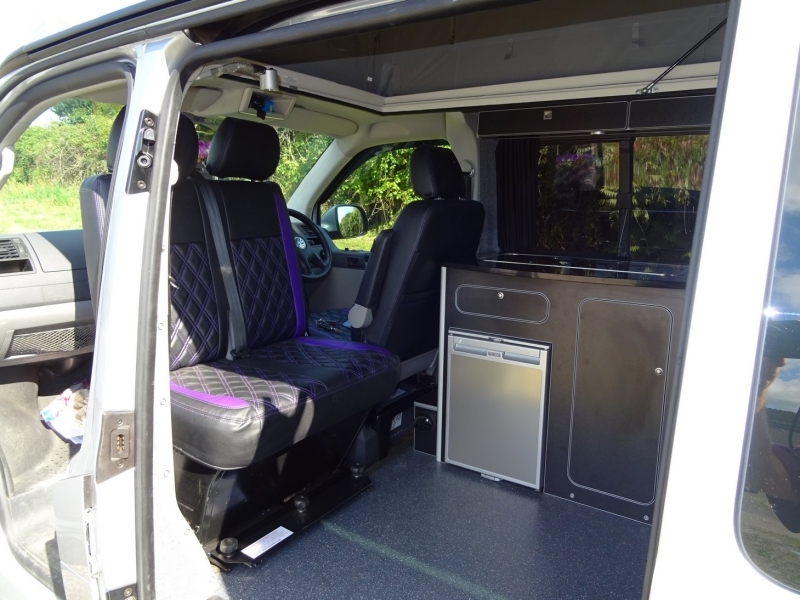 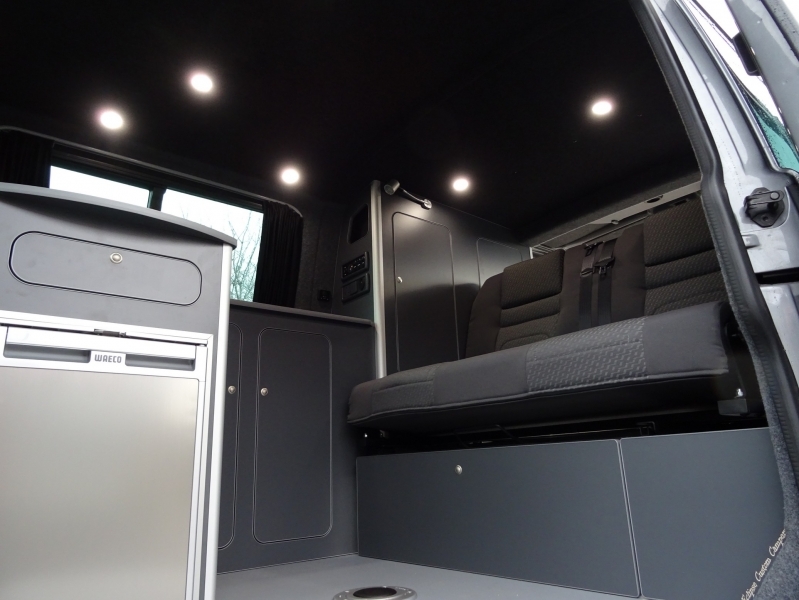 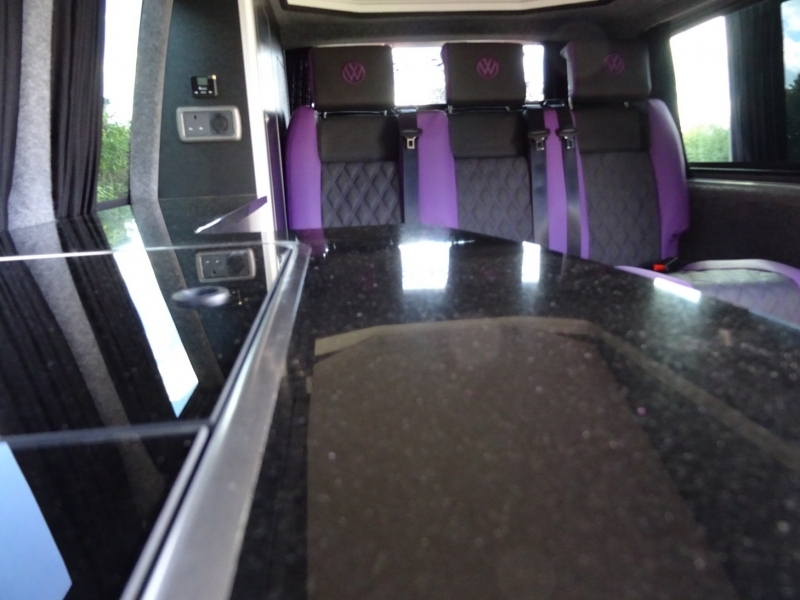 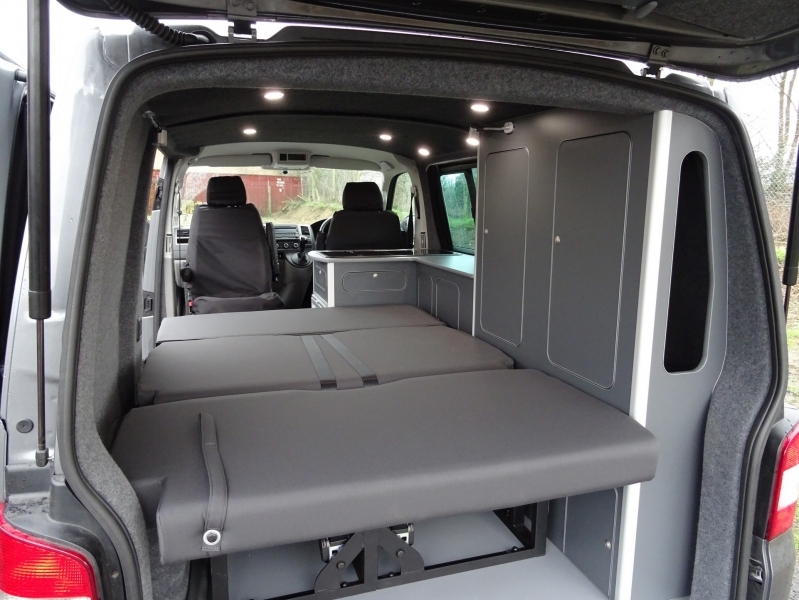 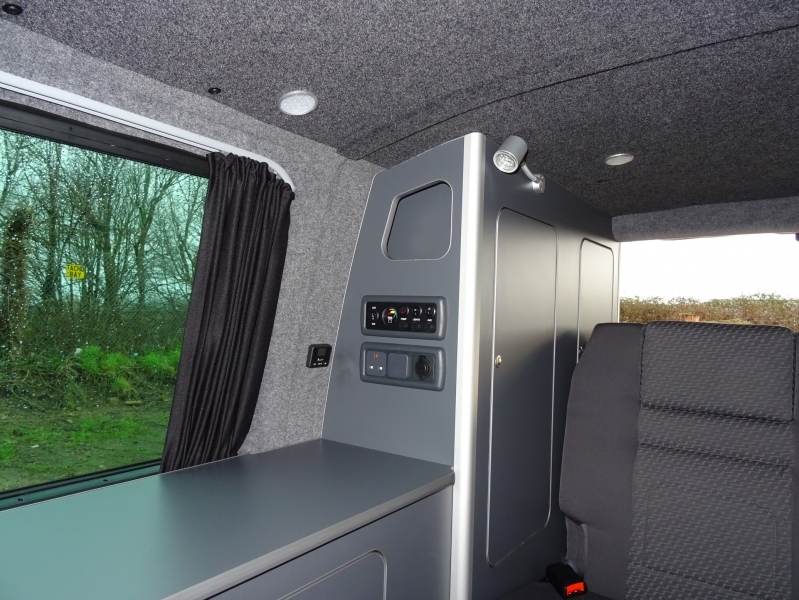 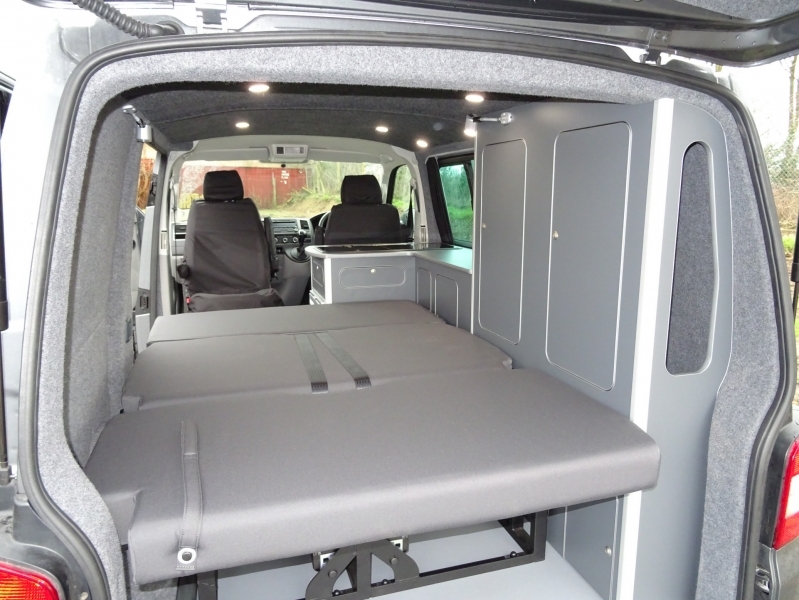 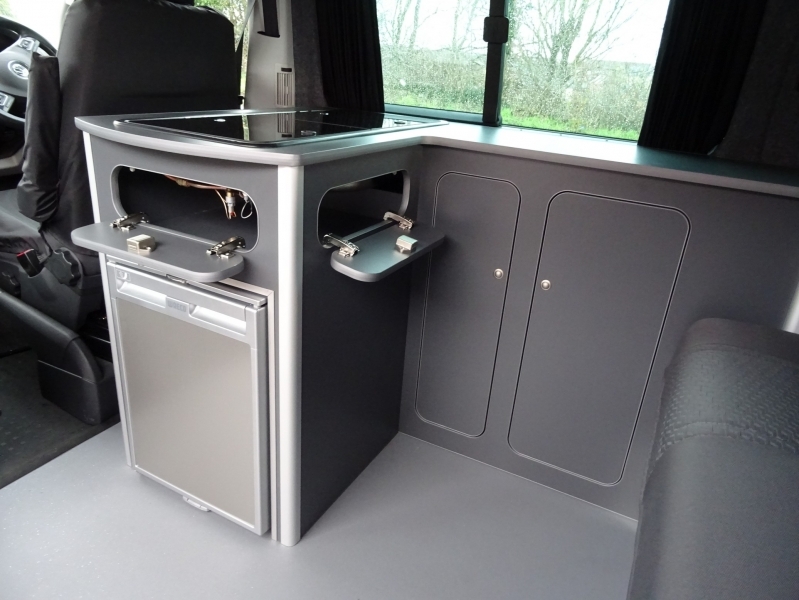 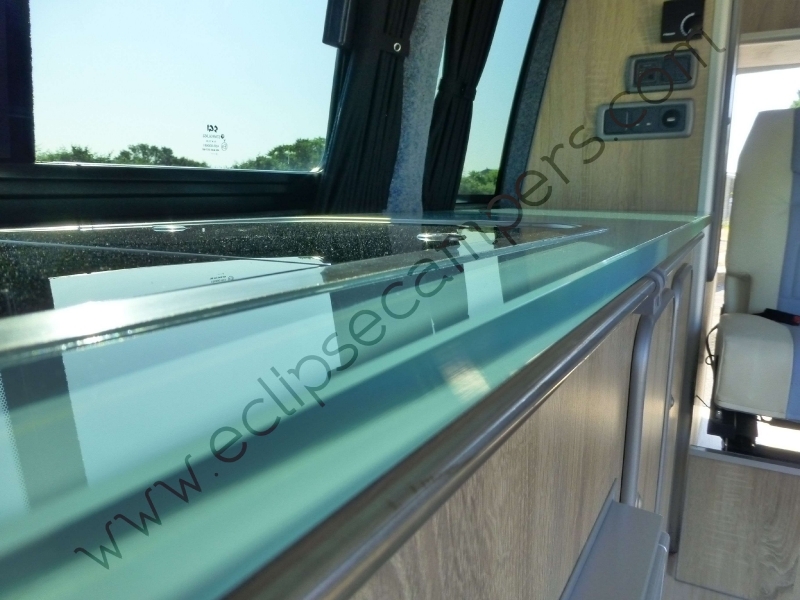 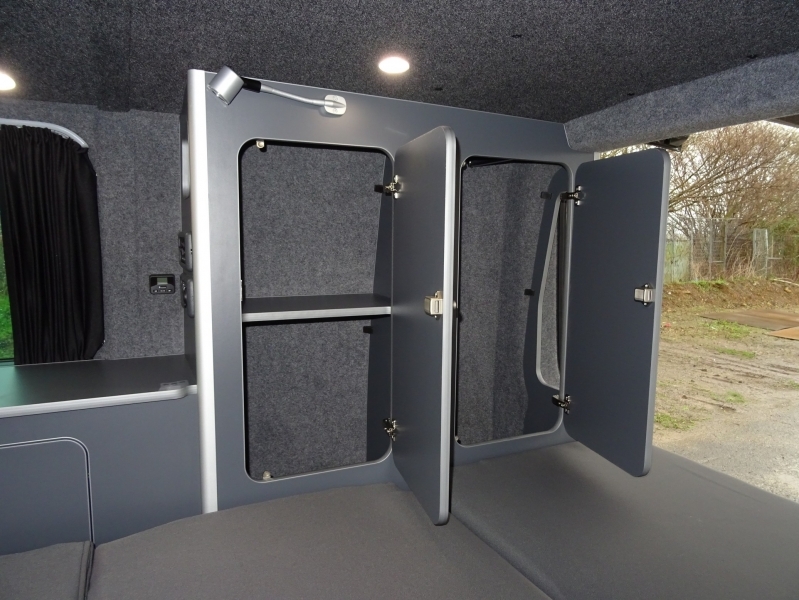 The Panorama conversion has a less traditional ‘L’ shaped layout to maximise the available space within in the vehicle. 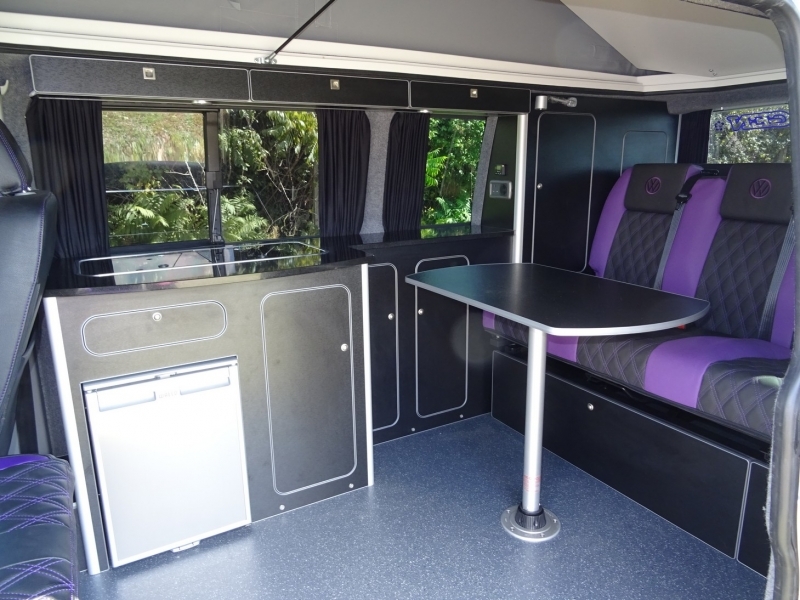 The Panorama conversion is our premier conversion due to the increased complexity and departure from the traditional furniture layout. 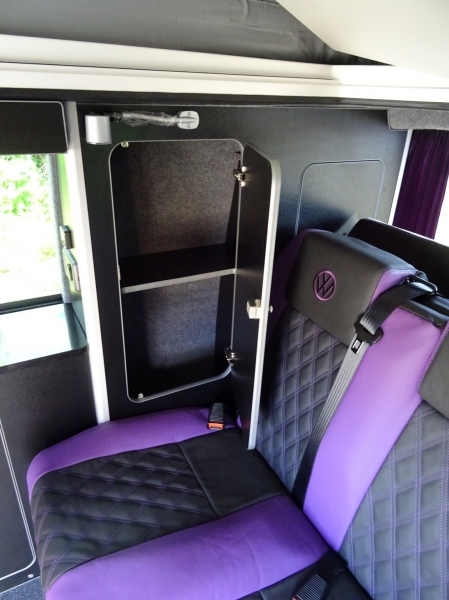 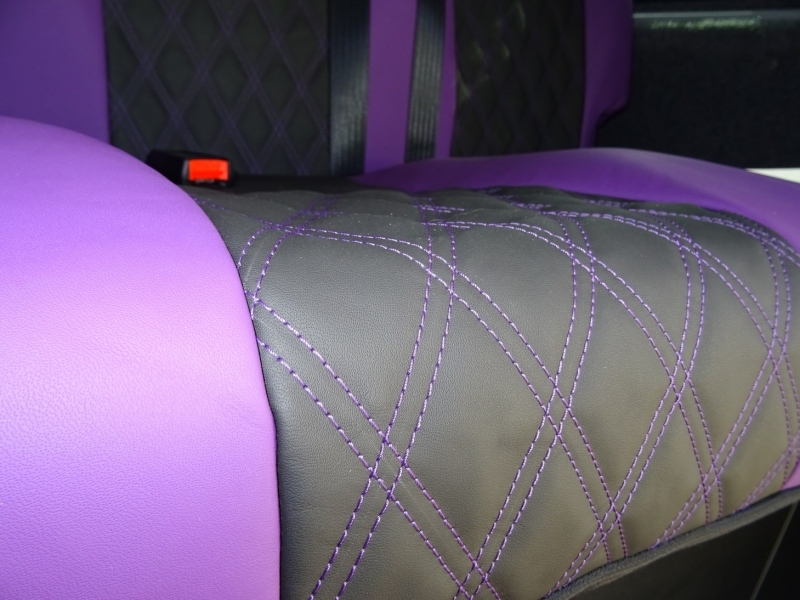 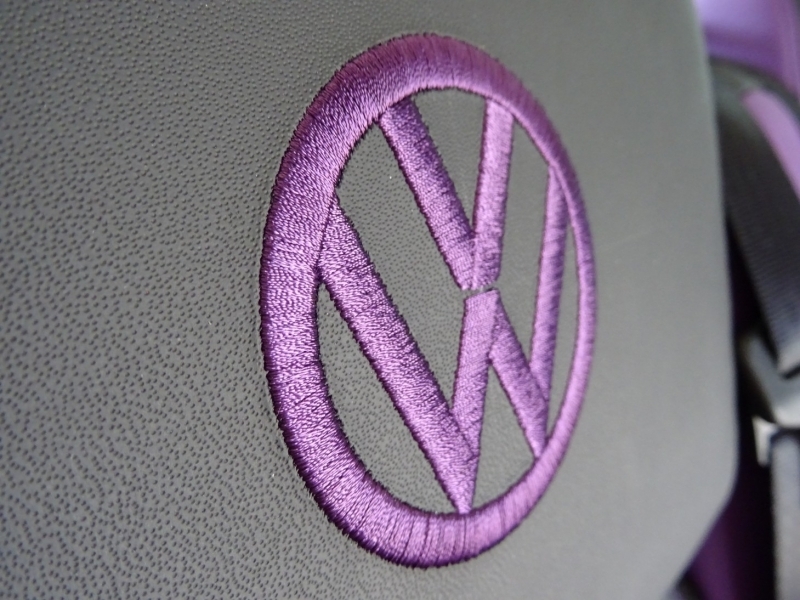 It has been developed to allow wider RIB seats to be utilised. 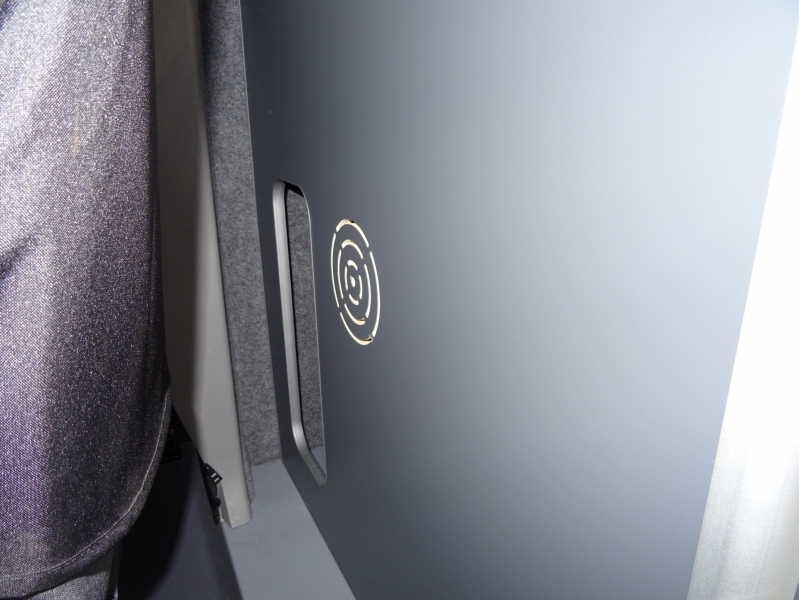 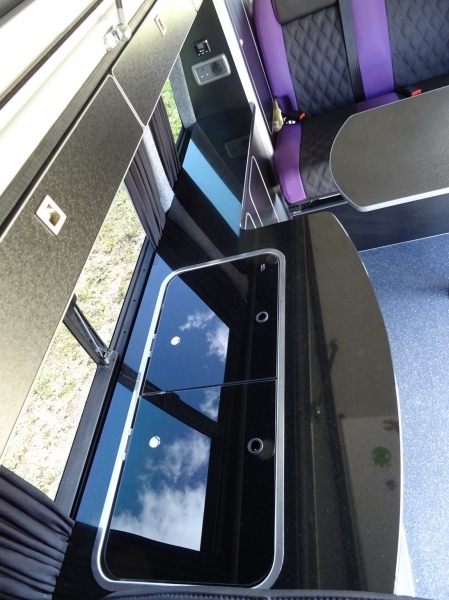 The wider seat reduces the cupboard depth, therefore the hob or Fridge need to be stepped out, in an ‘L’ shaped furniture configuration. 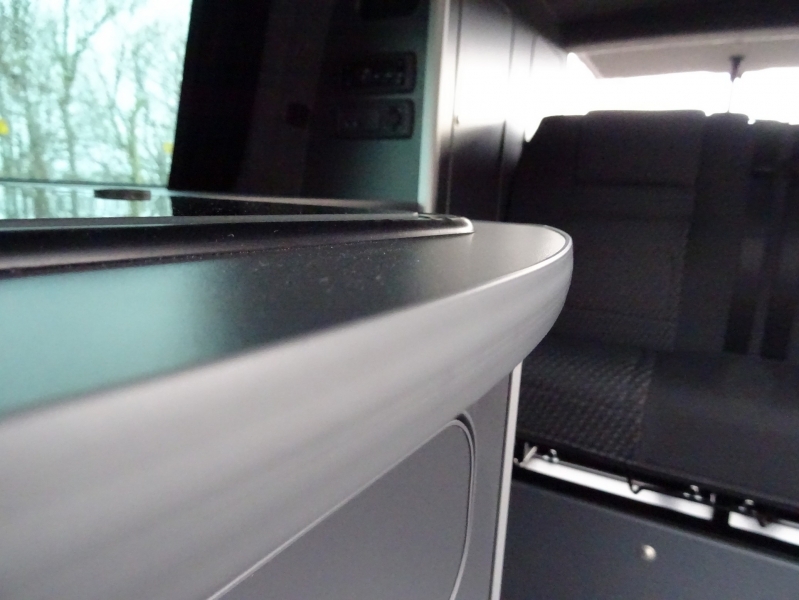 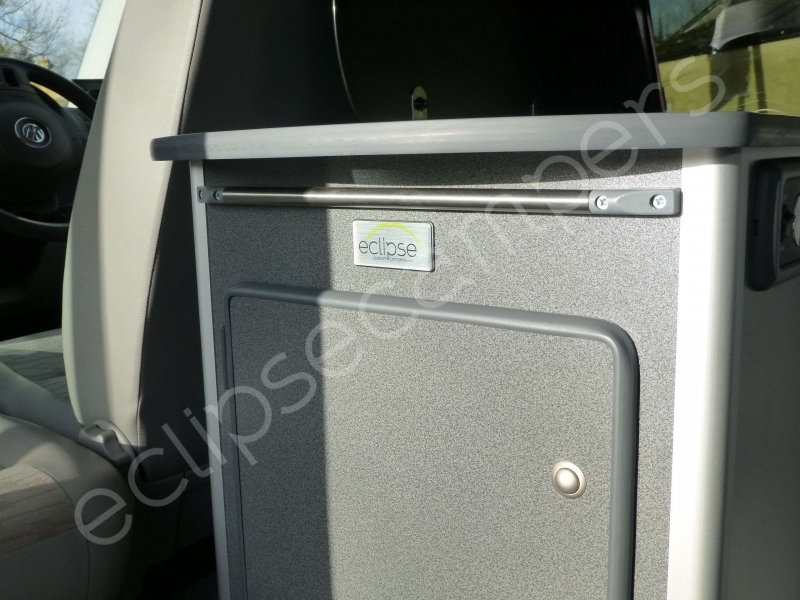 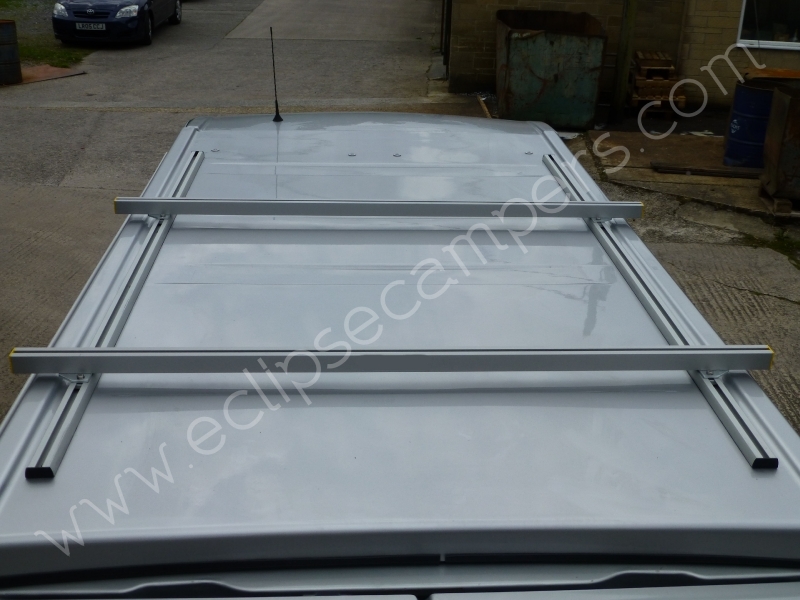 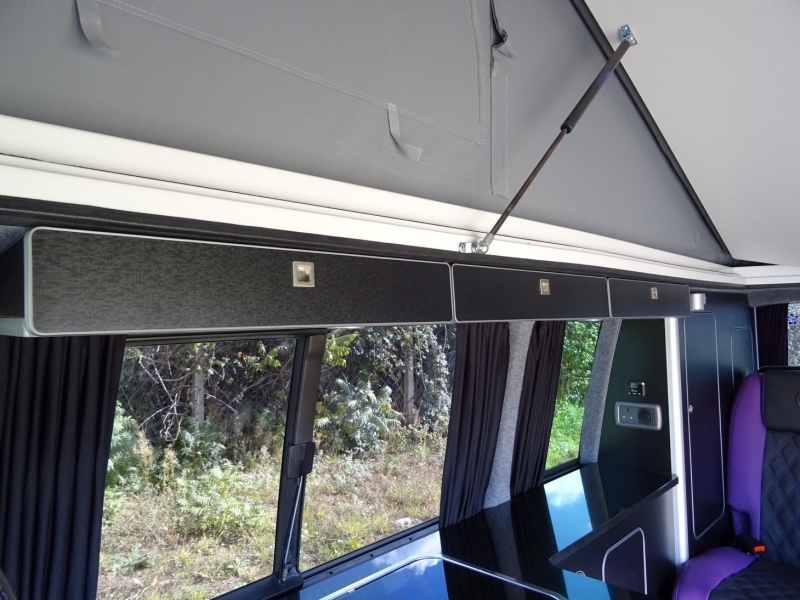 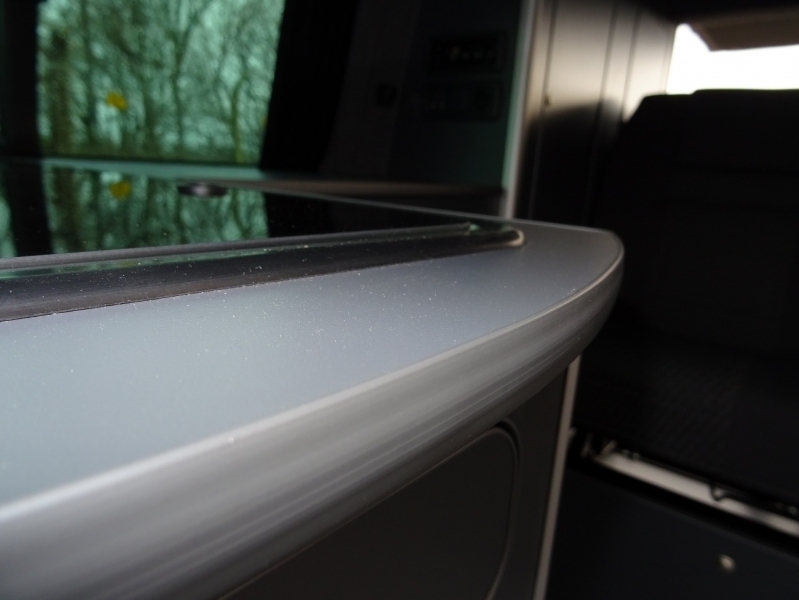 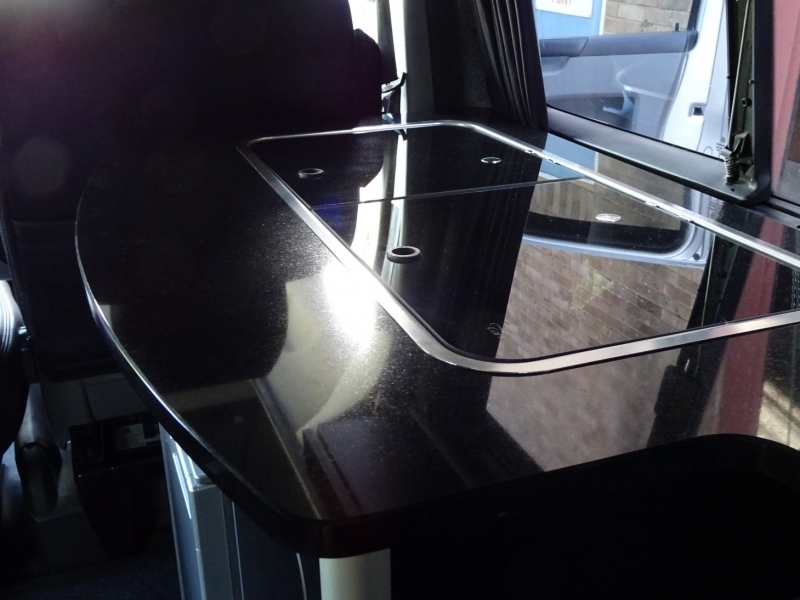 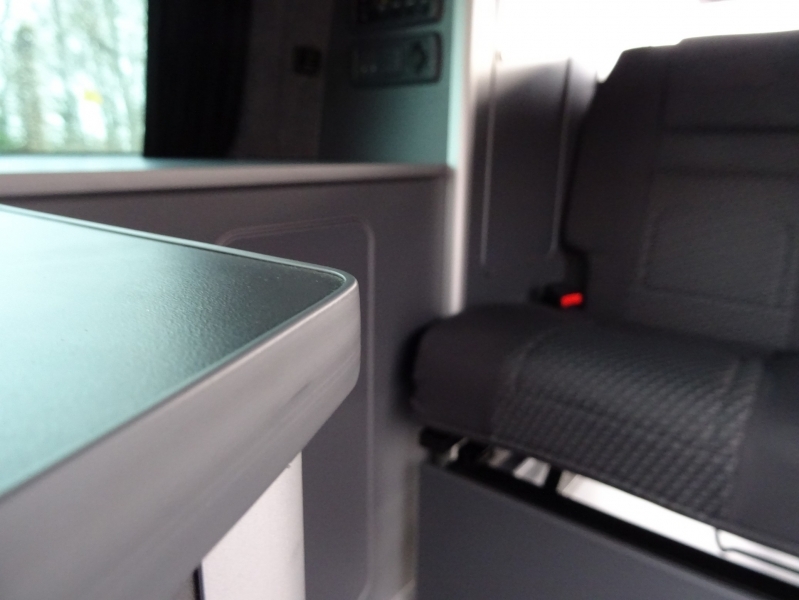 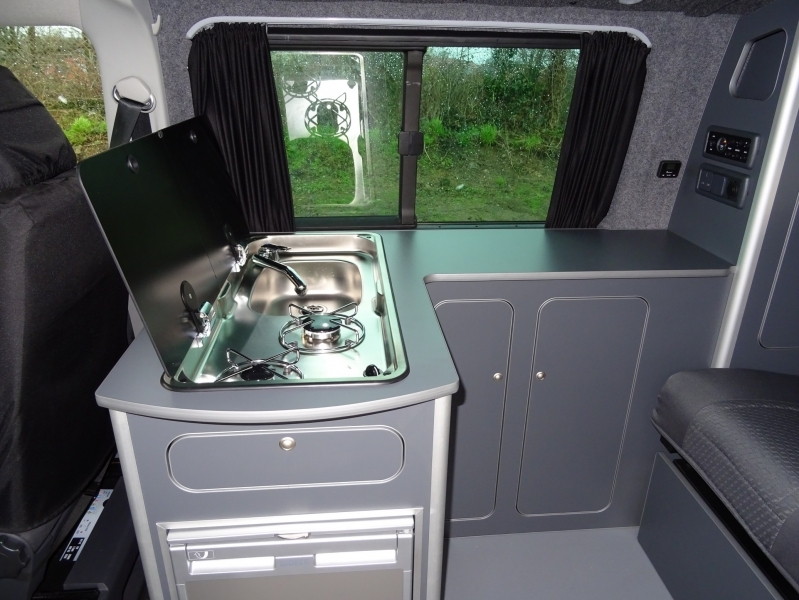 In a SWB the sink/hob unit will be rotated 90 degrees, in a LWB van the hob/fridge component will be stepped out. 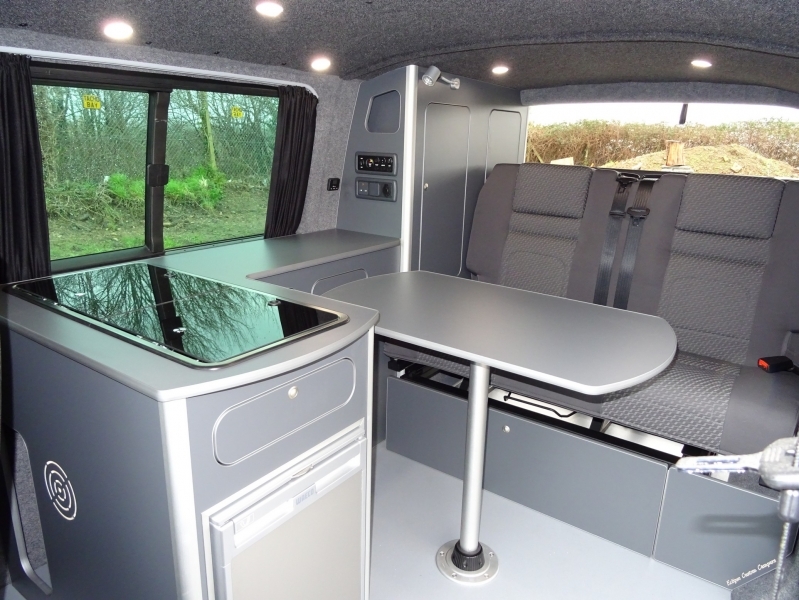 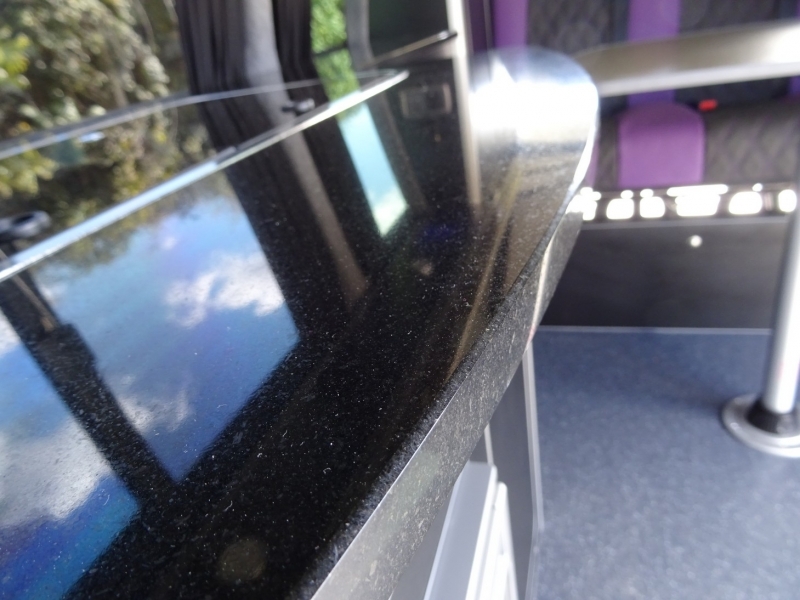 A bespoke table is included which increases the worktop area further. 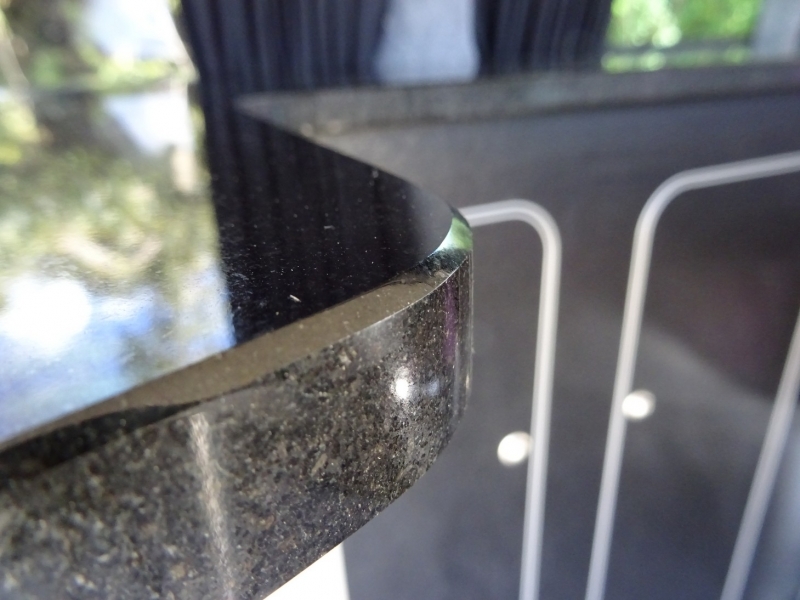 See below for more pictures or click here More pictures. 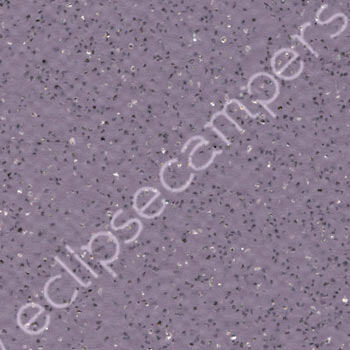 Please click HERE for wood finish, Vinyl flooring and lining material options. 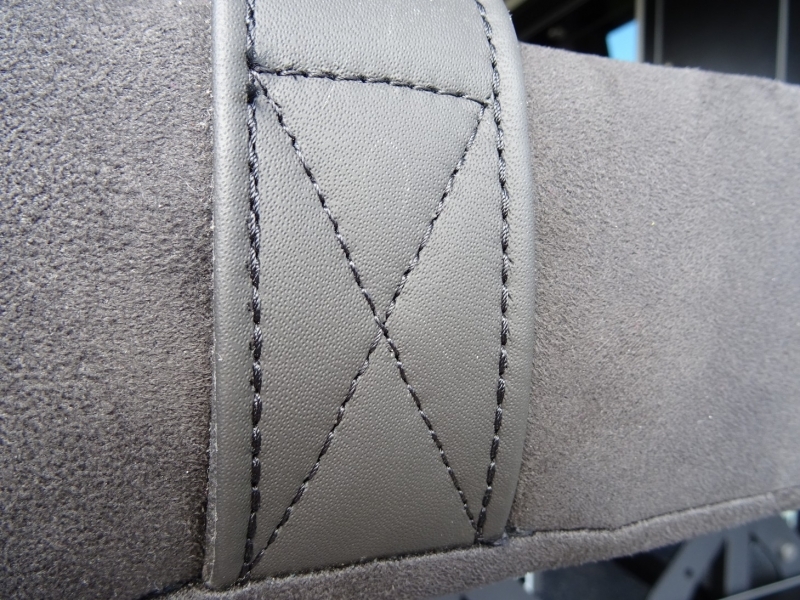 Click HERE for further options.